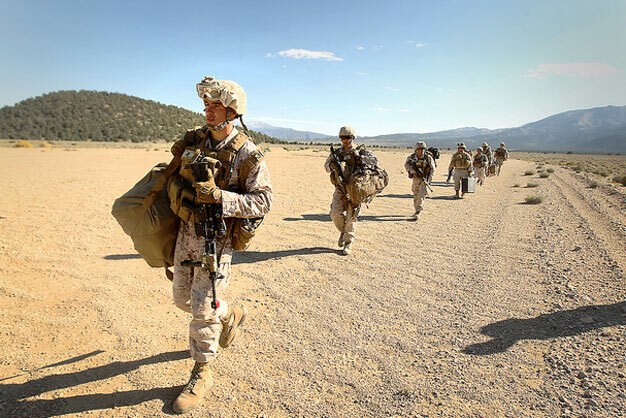 Marines with 2nd Reconnaissance Battalion after an air raid exercise at the Sweet Water training area, Marine Corps Mountain Warfare Training Center Bridgeport, Calif., Sept. 17, 2012. U.S. Marine Corps photo by Lance Cpl. Ali Azimi.